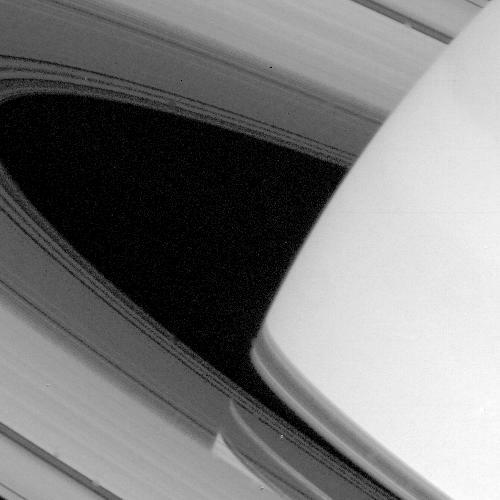 Both the limb of Saturn and the shadow of its ring system are seen through the transparent C-ring in this striking picture taken by NASA's Voyager 1 on Nov. 9, 1980 at a distance of 4.5 million kilometers (3 million miles). 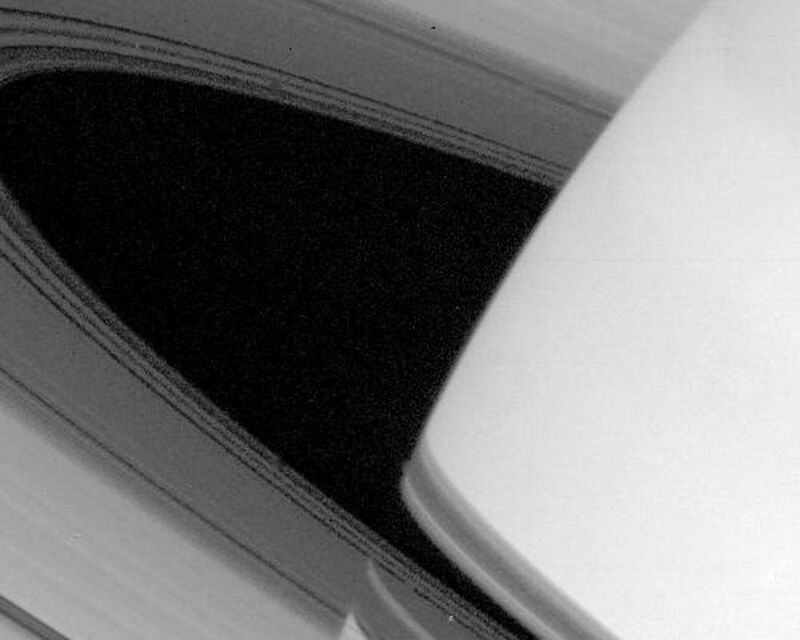 Gaps and regions of high transparency are seen throughout the C-ring, especially in the area closest to the opaque B-ring. 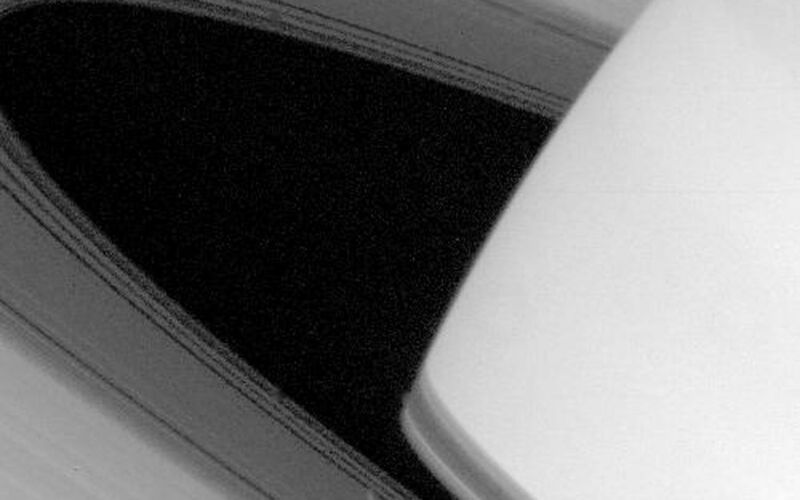 Shadows of the A-, B-, and C-rings are clearly visible on the disk of Saturn. 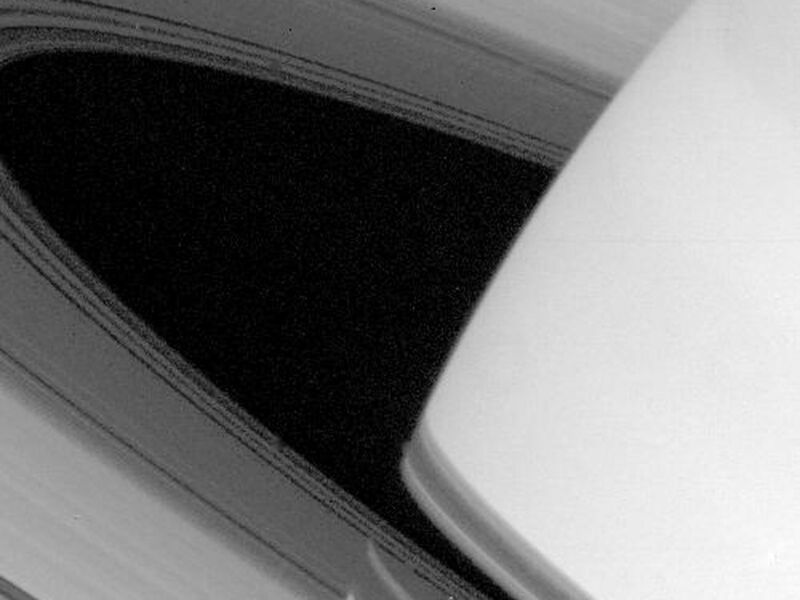 The C-ring shadow showing the gaps described above is the uppermost shadow; below this is the very black shadow of the opaque B-ring, then the Cassini Division, and at the bottom, the shadow of the A-ring.